So this means there will be more space for some kids in the Saturday Intro class at 2:30pm! 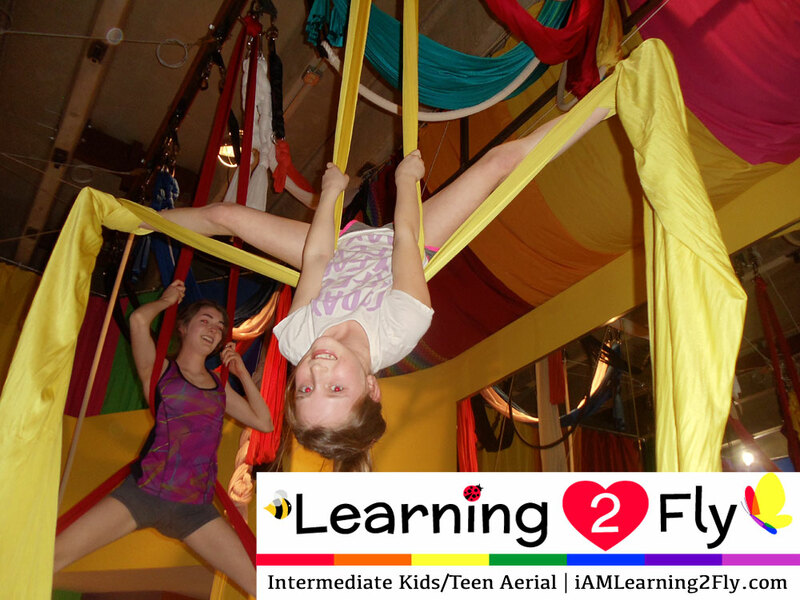 After school fitness, fun and friendship, while learning to use all of the aerial apparatus in our studio. Ages 6-10. This class is for pre-teens and teens looking to try something new and improve their strength, agility, flexibility for other activities. Aerial training is great cross training for any other sport they may be pursuing.